Lawrence E. “Larry” Walker, Sr. has been a public speaker and active community servant for over 30 years. Larry has volunteered in several capacities within the Howard County Public School System. He volunteered at Mt. Hebron High School and served as President of Parents of African American Students. In 2008, Maryland State Department of Education selected him as the state’s first Parent Involvement Matters Award winner for his leadership in advancing parental involvement in public education. Larry served on the Howard County Board of Education in 2014. Mr. Walker is a Life Member of Phi Beta Sigma Fraternity, Inc. and has served as the National Director of Youth Development. He started working with the BOLD Conference in the early 90’s and Larry continues to be an active education advocate supporting students, educators and parents throughout the region. He has encouraged parent and student groups around the country. 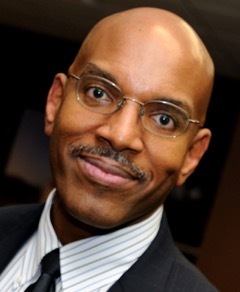 From his role as Deputy Pastor of Celebration Church at Columbia, and Vice President of the African American Community Roundtable of Howard County he remains deeply committed to helping people win in life.